Caption slip reads: "Photographer: Monteverde. Date: 1957-04-18. Assignment: Senior Women's National Indoor Championships. 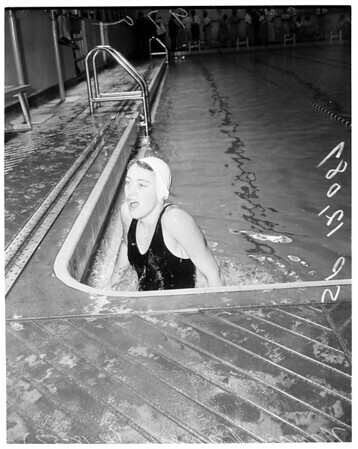 96/97/22: Washington A.C., Nancy Ramey 100 yd Butterfly stroke, 102.9".